The city of Mireea has been destroyed and its survivors seek shelter, refugees from a great war. Among them, Zaifyr and his companions arrive at the gates of Yeflam, seeking asylum. Zaifyr’s immortal status might gain them access – but will that be enough? And although they are weary indeed, they also face a bigger threat than lack of sanctuary. A new child god has entered the world, and she will do anything to destroy those who might threaten her power. Zaifyr warns Yeflam of the danger she poses. But it’s too late. Priests of the new god have entered the city. Meanwhile, Ayae becomes enmeshed in Muriel Wagan’s machinations. Now known as Lady of the Ghosts, Muriel seeks leverage to protect her people. But anyone in her way will find politics are more dangerous than the sword. Then on the other side of the world, the saboteur Bueralan returns home. Around his neck he carries a terrible cargo: the soul of a dead man. He’s been set on a dark path by the child god and he must face the consequences. For they will change a whole world. I like the relatively-simple composition and idea behind the cover — and the execution is quite stunning. It was designed by Neal Lang. 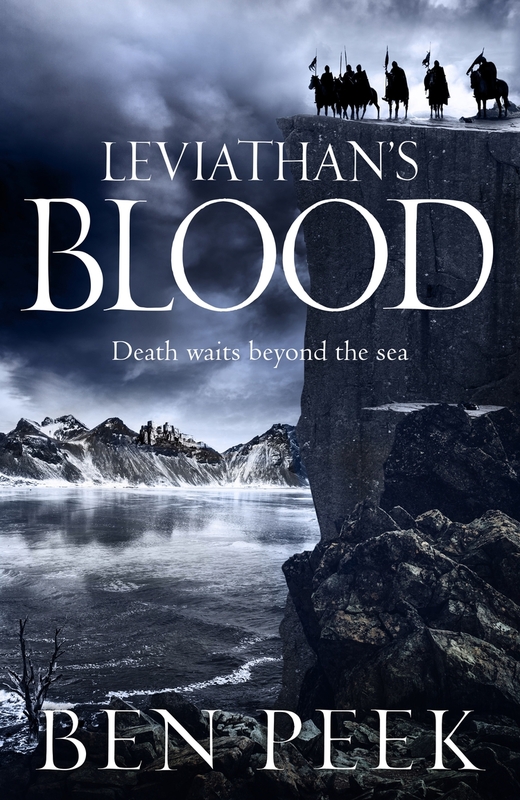 Leviathan’s Blood is due to be published in April 2016. For more on Ben Peek’s writing and novel, be sure to check out his website, and follow him on Twitter and Goodreads.